Introduction: Fungi broadly exist in the environment. Growing interest for natural and safe additives as well as concerns about synthetic fungicide have led to development of various fungicides. This study aimed to examine the effect of walnut thin shell ethanolic extract on the growth of Penicillium species. Methods: Antifungal effects were assessed at four different concentrations ranging from 5 to 350 mg/ml. The extract dilutions were exposed to the desired fungi using the broth dilution method, and minimum inhibitory concentrations (MIC) of fungi were determined and compared with the effects of nystatin and fluconazole. Results: The MIC for Penicillium italicum was 15 mg/ml for both walnut thin shell and fluconazole whereas it was 30 mg/ml for nystatin. Moreover, the minimum fungicidal concentration (MFC) for walnut thin shell, fluconazole and nystatin were 250, 30 and 60 mg/ml, respectively. The MIC for Penicillium expansum was 30 mg/ml for both walnut thin shell and fluconazole while it was 40 mg/ml for nystatin. The results also revealed that the MFC for these inhibitors was 300, 40 and 70 mg/ml, respectively. Furthermore, the MIC for Penicillium digitatum forboth the shell walnut extract and nystatin was 40 mg/ml while it was 20 mg/ml for fluconazole. The MFC for walnut thin shell, fluconazole and nystatin were 325, 100 and 70 mg/ml, respectively. Conclusion: Thin walnut shell extract has significant antifungal effects on Penicillium species and could be used as a natural antifungal. More research is required to assess the use of the extract for treatment of fungal infections. 4. He L, Liu Y, Mustapha A, Lin M. Antifungal activity of zinc oxide nanoparticles against Botrytis cinerea and Penicillium expansum. Microbiol Res. 2011;166 (3):207-15. 7. Romanazzi G, Lichter A, Mlikota Gabler F, L.Smilanick J. Recent advances on the use of natural and safe alternatives to conventional methods to control postharvest gray mold of table grapes. Postharvest Biol Technol. 2012;63(1):141-7. 8. Spotts RA, Cervantes LA. Population, pathogenicity and benomyl resistance of Botrytis spp., Penicillium spp. and Mucor piriformis in packinghouses. Plant Dis. 1986;70:106-8. 10. Zamani M, Sharifi Tehrani A, Ahmadzadeh M, Hosseininaveh V, Mostofy Y. Control of penicillium digitatum on orange fruit combining pantoea agglomerans with hot sodium bicarbonate dipping. J Plant Pathol. 2009;91(2):437-42. 13. Zabka M, Pavela R. Antifungal efficacy of some natural phenolic compounds against significant pathogenic and toxinogenic filamentous fungi. Chemosphere. 2013; 93(6):1051-6. 14. Salamat F, Keivani S, Emami M, Amin GH. Evaluation of Juglansregia pericarp on antifungal susceptibility with broth dilution method. J Islamic Azad Univ Tehran Med Branch. 2007;16(4):201-5. 15. An Jun L, Yue Wei W, Zen Yuan Z, Yan W, Ying C. Extraction and antimicrobial activities of polysaccharide from walnut kernel pellicle. Mod Food Sci Technol. 2010;26(4):160-5. 16. Sharafati-Chaleshtori F, Shrafati-Chaleshtori R, Momeni M. Comparison of the antimicrobial effects of theethanolic and aqueous extracts of Scrophularia striata onEscherichia coli O157:H7 in vitro. J Shahrekord Univ Med Sci. 2009;10:32-37. 17. Evans EGV, Richardson MD. Medical mycology a practical approach. England: Oxford University Press; 1989. 18. Wayne PA. Reference method for broth dilution antifungal susceptibility testing of yeasts, approved standard. CLSI document M27-A2;2002. 19. Wayne PA. National Committee for Clinical Laboratory Standards. Reference method for broth dilution antifungal susceptibility testing of yeasts. Approved standard- Second edition. CLSI document M27-A2;2002. 20. Tomaszkiewicz-Potępa A, Vogt O. Juglon: biological active metabolite from plants of family juglandeceae. Wiadomości Chemiczne. 2004;58 (11-12):881-94. 21. Hejl AL, Koster KL. Juglone disrupts root plasma membrane H+-ATPase activity and impairs water uptake, root respiration, and growth in soybean (Glycine max) and corn (Zea mays). J Chem Ecol. 2004;30(2):453-71. 22. Piskorski R, Ineichen S, Dorn S. Ability of the Oriental Fruit Moth 9. Grapholita molesta (Lepidoptera: Tortricidae) to Detoxify Juglone, the Main Secondary Metabolite of the Non-host Plant Walnut. J Chem Ecol. 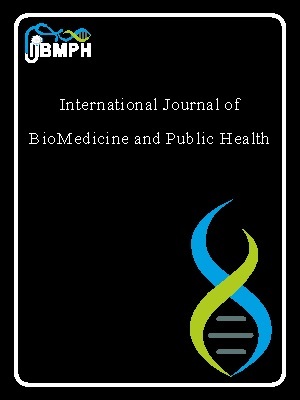 2011;37(10):1110-6. doi:10.1007/s10886-011-0015-4. 23. Ansari MA, Anurag A, Fatima Z, Hameed S. Natural phenolic compounds: a potential antifungal agent. Microb. 2013:1189-95. 24. Arji P, Naseri A, Rakhshandeh H, Najafzadeh MJ. Investigation of antifungal activity of methanol and aqueousextracts of walnut (Juglans regia) leaves and peel against candida species. J Birjand Univ Med Sci. 2015;22(2):115-24. 25. Naseri A, Shamsian SA. In vitro anti-candidal effects of aqueous and methanolic extracts of walnut (Juglansregia) tree fruit peel in comparision with fluconazole. Int J Med Res Health Sci. 2016;5(6):72-6. 26. Citoglu GS, Altanlar N. Antimicrobial activity of some plants used in folk medicine. J Fac Pharm Ankara. 2003;32(3):159-63. 27. Yigit D, Yigit N, Aktas E, Ozgen U. Antimicrobial activity of walnut (Juglansregia L.). Turkish Soc Microbiol Res. 2009;39:7-11. 28. Haghi E, Rezaie S, Molaee Aghaee E, Sadighara P, Ahmadi F. The effect of ethanolic extract of walnut thin shell on the growth of Aspergillus spp.J Food Safe Hyg. 2016;2(3-4):84-9. 29. Ayoughi F, Barzegar M, Sahari MA, Naghdi Badi H. Antioxidant activity of dill essential oil (Anethum graveolens) in soybean oil, in comparison with chemical antioxidants. J Med Plants. 2009;2 (30): 71-83. 30. Mombeini T, Mombeini M, Aghayi M. Evaluation of pharmacological effects of Origanum genus (Origanum spp.). J Med Plants. 2009;4(29):18-35.